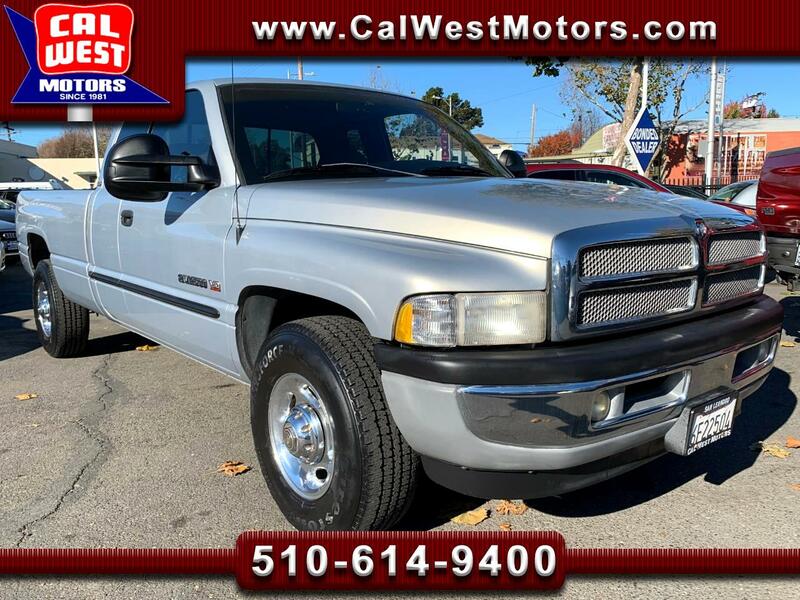 Dodge quad cab pickup truck with only 47,217 miles! SLT trim. California owned with only one careful previous owner. Superb maintenance history with no accidents or damages! There is a hefty V10 engine under the hood which is good for 305 HP and it is paired beautifully to a smooth shifting automatic transmission. Despite its size, this Ram is surprisingly agile and reasonably surefooted. Ride and handling are so competent you almost forget you're in a full-size pickup. Original bright silver metallic paint with deep tinted privacy glass. 8 FT cargo bed lined with premium Line-X bed-liner. Cabin is super clean with beautiful cloth upholstery with zero rips or tears. Premium Pioneer CD stereo system with USB and Aux port. Cold air conditioning, driver power seat, cruise control with steering wheel mounted controls, MaxBrake brake controller and all other power accessories working properly. Second row folding seat for extra storage space. Towing package with heavy duty tow capacity up to 13,150 lbs. Premium 16' chrome steel wheels wrapped in great quality Firestone Transforce HT tires with full size spare included. With this Rams' Low Mileage, One Owner History and Outstanding Condition makes for Excellent Value under $14,000!